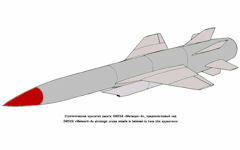 The P-750 Grom supersonic winged cruise missile with a range of 3000-4000 km was developed to replace the Kh-55 [AS-15 KENT]. The AS-X-19 Koala was an air-launched land-attack version derived from the SS-NX-24 Scorpion submarine-launched missile. A pair of AS-19 missiles was expected to arm the Tu-142 Bear-H bomber. The history of the X-90 began in 1971. 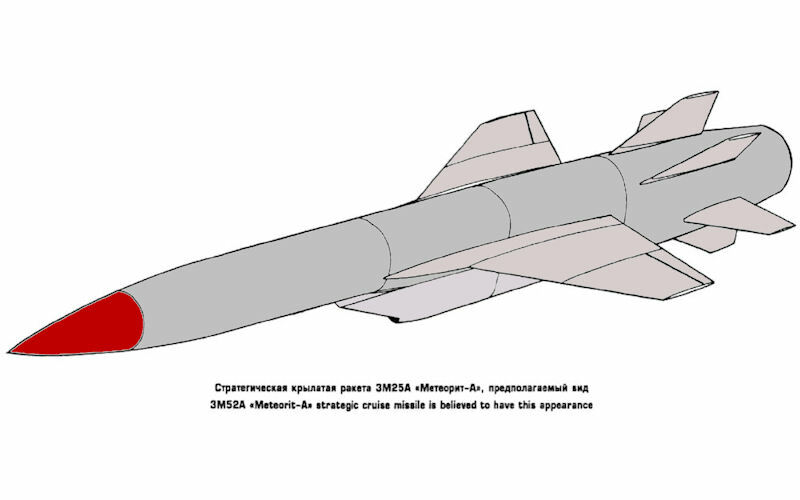 Then developers appealed to the government of the USSR with the construction project of a small strategic cruise missiles that could operate at low altitudes, applying to the terrain. This offer did not find a response from the leadership. However, after the United States in 1975 began the development of strategic cruise missiles (Cruise Missile), the leaders remembered it. Work on the X-90 hypersonic missile was launched in 1976, under a December 9, 1976 Resolution of the USSR Council of Ministers. Developers missiles were ordered to start development to be completed in the middle of 1982. By December 31, 1983 a rocket was supposed to adopted. One of the main requirements was that, to ensure that the missile supersonic speed. By the end of the 1970s the new missile was able to reach speeds of Mach 2.5-3.0, and by the end of the 1980s, this value reached Mach 3 to 4. The Meteorit program was begun in the late 1970s, and ended in the early 1990s. Deployment of the Ground Launched variant was curtailed by the 1988 Intermediate-Range Nuclear Forces Treaty between the U.S. and then-Soviet Union. Air-, ship- and submarine-launched variants of the turbojet-powered missile were designed to include a number of novel technologies. The weapon featured a high supersonic cruise speed and range of several thousand kilometers. Around 20 launches were conducted off a Tu-95MA flying testbed bomber. The Meteorit used a turbojet sustainer, though NPVO Plamya had designed a 780 mm ramjet engine for it. The air-launched variant of the Meteorit, probably designated Kh-80, was dropped from an inboard pylon of a Tupolev Tu-95 Bear bomber. The GELA was definitely not linked to the 3M25 Meteorit program. They were designed by different design bureaus - Meteorit by NPO Mashinnostrenya and GELA by Raduga - and at different timeframes - the 3M25 project was begun in 1976 and cancelled in 1989, the GELA was a late 1980s - early 1990s project. The GELA was probably linked to the Kh-90 air-launched cruise missile program. The Marabu plasma-field generating system to reduce the radar-cross section of the high-flying missile is believed to be one of the novel technologies. Scientific and Engineering Production Association (NPO Mash) declassified a unique plasma gun, made invisible to enemy radar and air defense systems strategic supersonic cruise missile 3M25 "meteorite". At the time of irradiation by enemy radar "Meteor" created around it impenetrable for the radar radiation cloud of ionized gas. Unique gun will be within the next year transferred to the Russian universities as a textbook for future engineers and designers in the design of hypersonic vehicles. As told to "News" in Dec 21, 2016, the NPO Mash was negotiating the transfer of unique products come with the leadership of the Moscow Aviation Institute, National Technical University. NE Bauman, the Baltic State Technical University "Voenmech" them. DF Ustinova and Ural State University. BN Yeltsin. It is best when irradiated plane or cruise missile radar can see the blades of the turbine engine and the inlet edge. These design elements like corner reflectors, - says the "News" editor in chief of Internet project Militaryrussia Dmitry Kornev. - Hiding from the radar of these structural elements, the problem with the radar signature of the aircraft is decided by 70-80%. Therefore, stealth planes make the air intake in the form of the Latin letter S. His bending blocks the passage of radio waves, but at the same time does not allow a rocket or an aircraft to fly at supersonic speeds. Designers NPO Mash equipped product normal air intake, allowing to develop a supersonic speed, and protect it from enemy radar. By one account, in early 1997 engineers from the Raduga Design Bureau in Dubna (located just outside Moscow) displayed a new class of airborne vehicle -- the Kh-90 experimental cruise missile -- at the International Aviation Aerospace Salon (MAKS) in Zhukovsky. In the West, it was called the AS-19 Koala. This rocket was made to replace the Kh-55 strategic cruise missile that is carried by the Tu-160 bomber. Its flight range was 3,000 km. The missile could carry two warheads with individual guidance, each capable of hitting targets at a distance of 100 km from the point of separation. The carrier was to be a modernised version of the Tu-160M strategic bomber. However, according to official data, work on the missile was suspended in 1992.